Our ultimate goal is to provide neural circuit mechanisms of behaviorally relevant brain function. We are particularly interested in understanding how neuropsychiatry diseases, such as alcohol use disorder, change the basal ganglia circuit in the hopes of one day treating these diseases. 06/05/2018: Congratulations to Yifeng, Xuehua, Xiaoyan, Xueyi, and Sebastian for their paper being accepted by Alcohol, Clinical and Experimental Research. 06/01/2018: Congratulations to Yifeng for his paper being accepted by Alcohol. 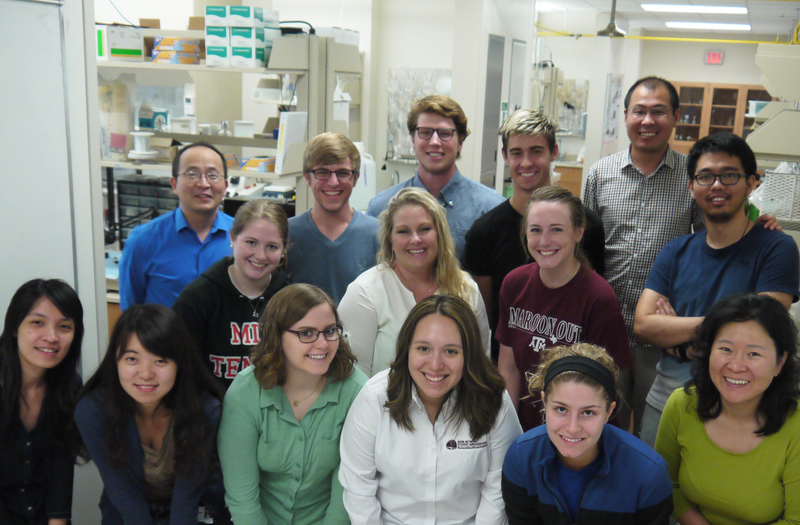 05/21/2018: Welcome to Alyssa Kaser, Yeun Hur, and Craig Kemper from the Texas A&M College of Medicine Summer Research Program. 05/03/2018: Congratulations to Ada for passing her preliminary examination. Copyright © Jun Wang 2017, Texas A&M Health Science Center. All rights reserved.